Around 50 of Paul Walker’s friends and family gathered at Forest Lawn Cemetery in Los Angeles to pay their respects to the Fast and the Furious star, two weeks after the fiery car crash that killed him. “A few people got up and gave tributes to Paul. It was hard for many people to talk, they were in tears and couldn’t finish what they were saying,” an eyewitness told Us Weekly. The 40-minute service was a “somber” affair with a large picture of Paul Walker, who was 40 at the time of his death, standing on an easel and white flowers surrounding the gravesite. “It was a really sad day for so many people, and you could tell they just weren’t ready to say goodbye,” the eyewitness said. Paul Walker and his friend Roger Rodas died on November 30 after their 2005 Porsche Carrera GT collided with a lamp post. Roger Rodas was behind the wheel at the time of the accident. 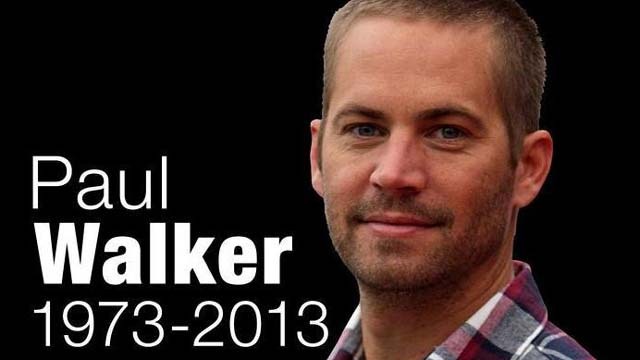 Paul Walker and Roger Rodas had attended a charity event moments prior to the crash.